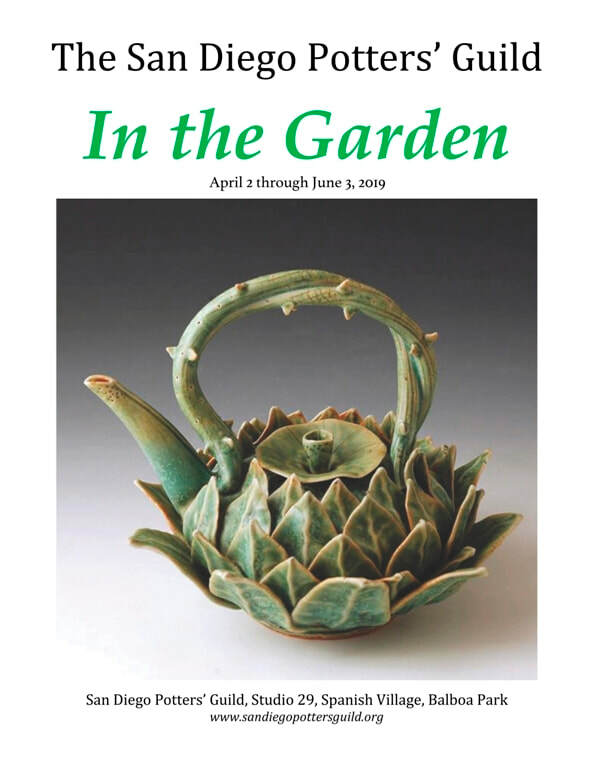 The guild is a juried membership of more than 40 potters from San Diego, California. 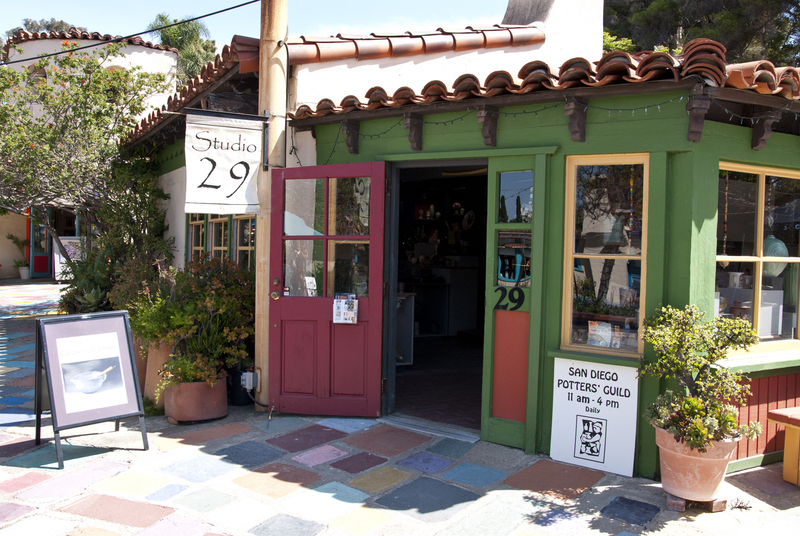 We are located in Balboa Park's historic Spanish Village, at Studio 29, where members make and sell their creations directly to the public. The gallery features a large and varied display of work from all our members and is refreshed periodically. The studio offers also a working space for our members. Every day, one of the guild members can be found working at the wheel, handbuilding, or preparing for a firing. We invite you to come visit us and discover one of the best spots for ceramic work in San Diego! Next Guild Sale is Coming up ! Featured work on poster by David Cuzick. Check out our members' page to see more work by the artists.